Etihad Airways has introduced new inflight products and enhancements to its long-haul cabins, including a luxury hotel-style reception service in First Class, cotton loungewear, mattress and turndown service in Business Class, and a new ergonomic pillow that converts into a neck pillow in Economy Class. The upgrade programme is also being introduced across the rest of the fleet with products varying on flight duration. 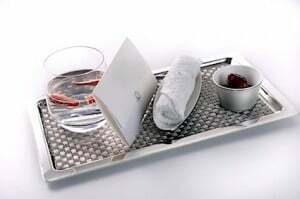 Inspired by the world’s finest hotels, the First Class service includes a personalised welcome letter from the Cabin Service Manager and a silver-tray reception service with a welcome drink, fragrant hot towel and traditional Arabic dates. 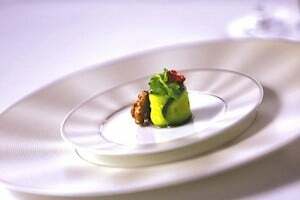 First Class dining is to feature new chinaware by Japan’s famed fine bone china producer Nikko, and designer ‘Royal Oak’ cutlery by British brand Studio William. Beverages will be served in stemmed crystal glasses created for the airline by Lucaris. First Class dining will now include a new contemporary menu design, an enhanced selection of canapés, a pre-dessert course served by the Chef, and a ‘Café Gourmand’ coffee and tea course accompanied by mini cookies, cakes and pastries. Cabin dressing has been refreshed and each suite will include a luxurious throw and cushion that reflect the colour palette of the new interiors being introduced by the airline, beginning with theA380 and B787-9 aircraft. The First Class turn-down service will beaccompanied by a ‘Sweet Dreams’ card, an accompaniment to the all-natural bed linen, pillow mist and pulse point oil. The popular ‘Dine Anytime’ option remains with an ‘All Day’ menu now offered on longer flights. A contemporary new range of dining ware features signature pieces including a stylised steel bread basket, salt and pepper shakers, and a hammered metal side dish that have been inspired by the airline’s Facets of Abu Dhabi corporate branding. New trays, chinaware, cutlery and tall, stemmed glasses add to the sense of sophistication. On long-haul night flights and all ultra-longhaul flights, a revolutionary new pillow, unique to the airline, has been designed to convert from a standard pillow to a neck pillow, providing neck support and improved comfort. A cotton drawstring amenity kit is also provided and includes a simple yet ingenious reversible eye-mask with ‘Do not disturb’ and ‘Wake me up to eat’ printed one each side. A convenient blanket bag that doubles up as a ‘cabin tidy bag’ will be placed at each seat in Economy Class, reducing clutter around the seat and which can also be used as a shoe bag or to store personal effects.